It was supposed to be a candy cane. I promise. LOL….. I have no clue why it looked so different in my mind when I was devising it. After the first nail was finished, I determined it looked like some tinsel-y garland wrapping around a foil tree… which suits the holiday theme just fine. however, I pressed on in my quest to summon some holiday cheerfulness. 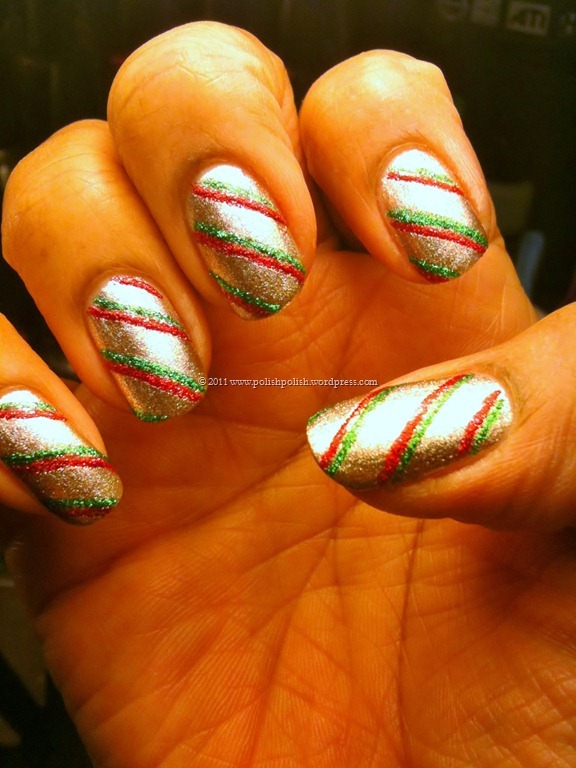 I attempted CANDY CANES!!!! !… ended up with garland. smh. if it wasn’t an acceptable garland…… that would have been a MESS. 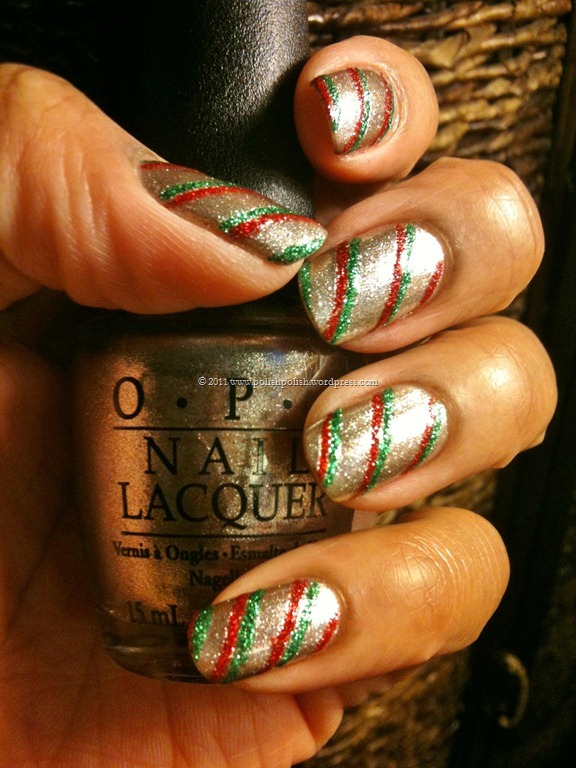 This entry was posted in Nail Art, OPI and tagged candy canes, designer de better, green glitter, holiday, muppets, nail art, red glitter. I thought candy cane when I first saw it, but I see the garland too. Very festive. 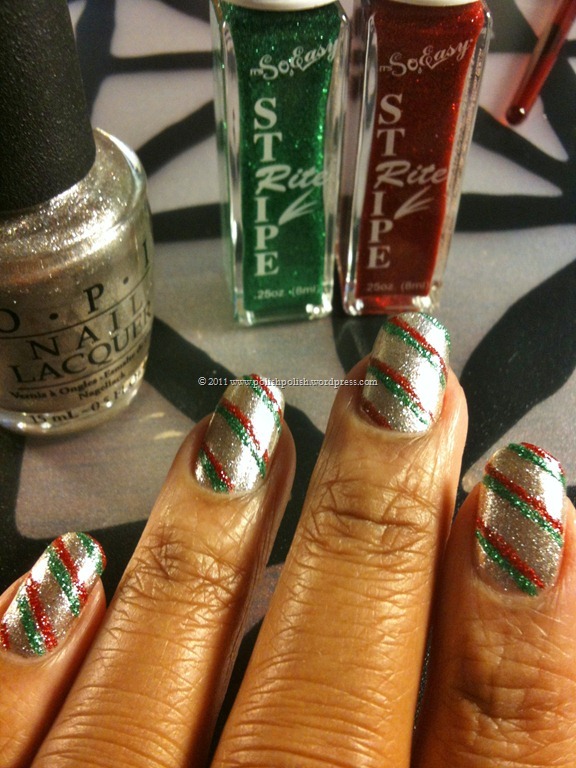 you really see candy cane??? oooh, that would make me feel so much better about it. hahaha. I love it!!! The designs are amazing…you are very talented!! Keep it up! Thank you Jamila!!!!! 🙂 wow.